Hello my lovelies… today I am coming at you with a question… How do you decide what outfit to wear? 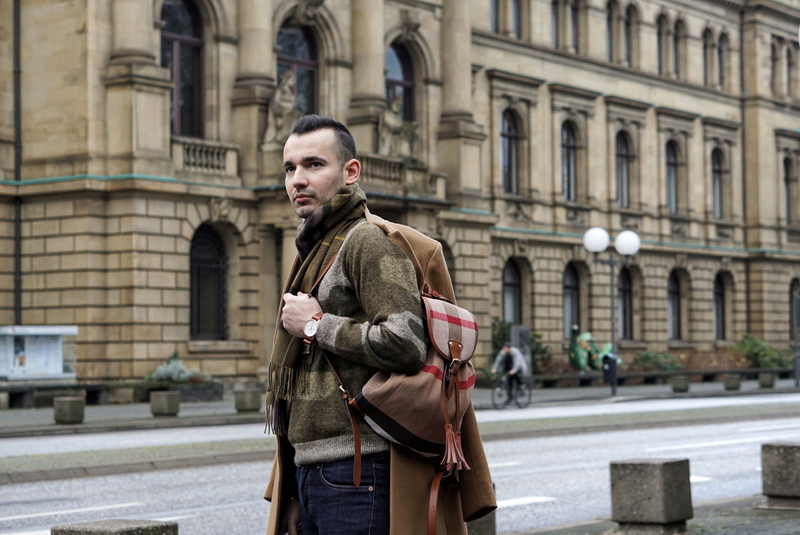 What are your main inspirations, when it comes to your personal styling? Do you decide on that, when waking up? Or is it more on a spur of the moment? Maybe even deciding in the evening before? For me it is quite spontaneous…. I decide in the moment and construct the whole outfit in my head before even putting the garments out! The whole process takes no more than a few seconds and the best… a chaos situation almost never appears (meaning clothes all over). Of course this does not mean I don’t have a style which I prefer. 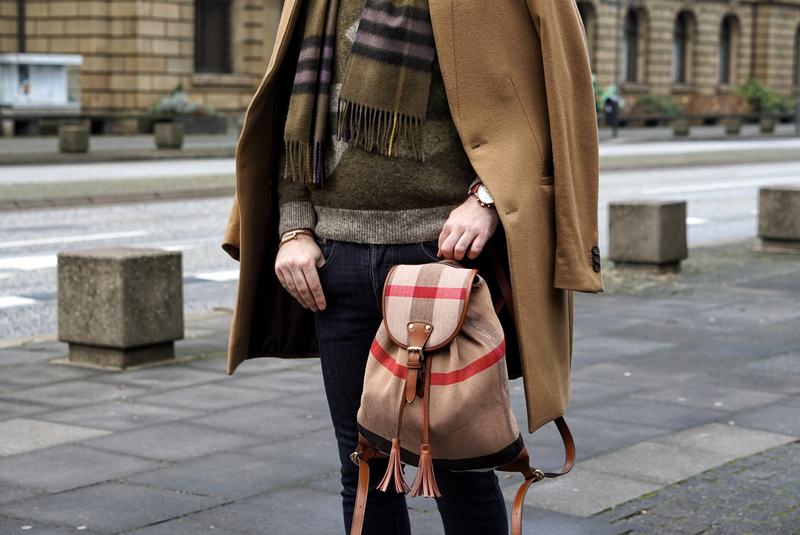 With me being a huge fan of Burberry the British street style is something i always fancy. Now these are all pretty good factors to combine and layer pieces. To be honest I think that the summer fashion is so boring and limited. But what exactly is typical for the British street style? 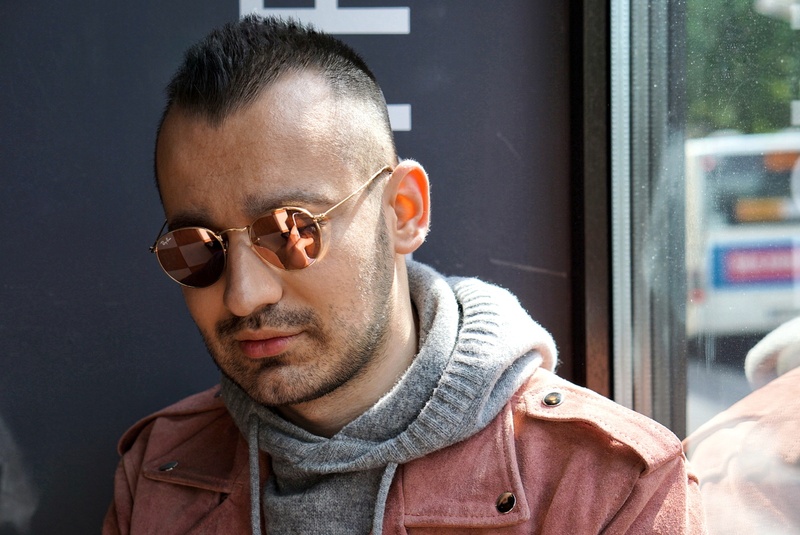 If you are interested in the latest London men`s street style… there are two sources, which will calm your fashion thirst: www.vogue.co.uk and www.gq-magazine.co.uk . 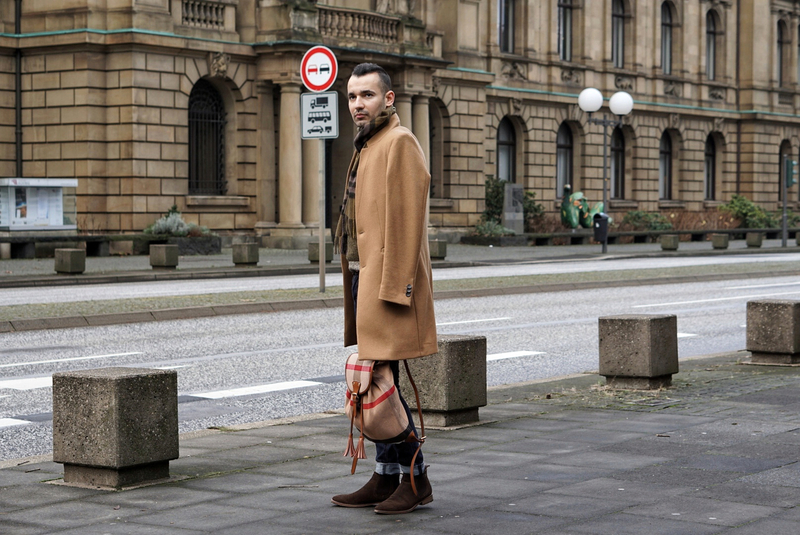 There you can find a great street style resume. 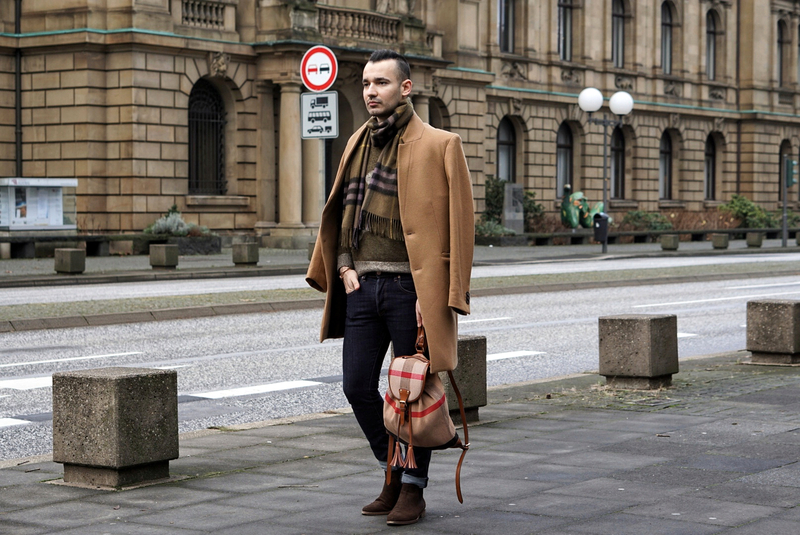 The British street style is considered to be the most exciting out there…. at least for me. Rich and thick fabrics… wool, cashmere… a tailored Blazer… trouser pants… meet a luxurious camel coat or a peacoat… even a shearling jacket. In order to break the wheel and make the look a bit youthful… maybe consider trowing a pair of a fitted or skinny jeans in the mix. 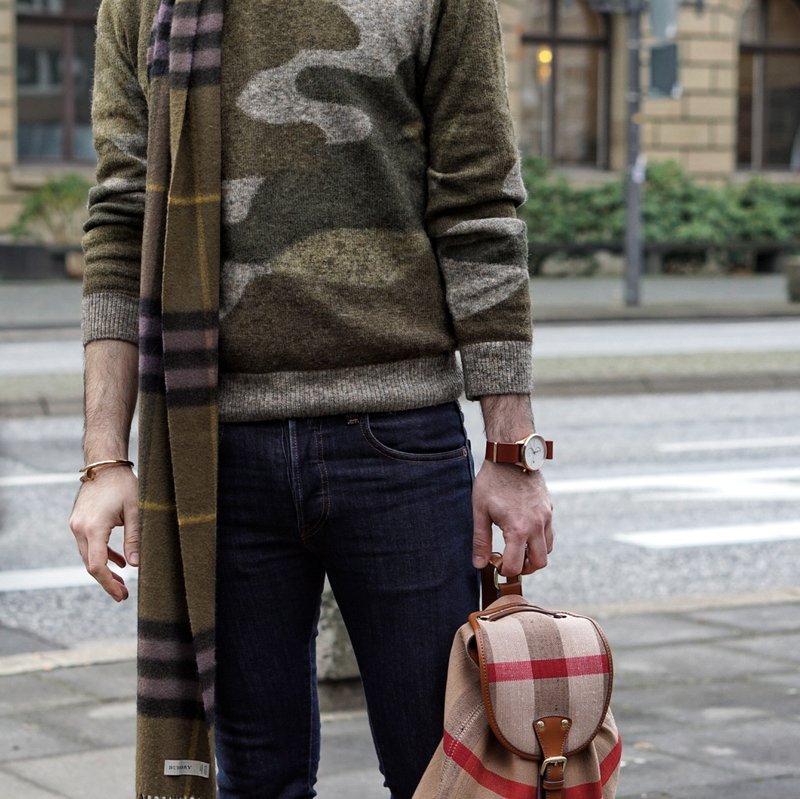 And voila… Oh I almost forgot… a checkered print is something you can never go wrong with. 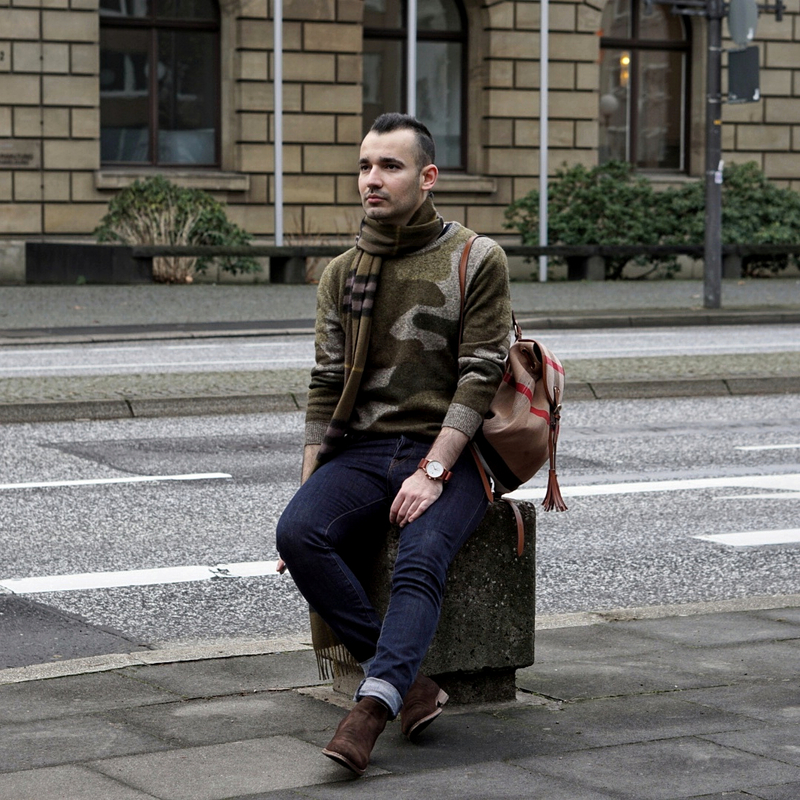 For this look I have combined a wool coat from Zara with a super soft wool camoflage jumper. I tried to stay in the same color palette and used mostly earthy tones… greens and beige and browns. The suede chelsea boots and the fitted jeans make the whole look a bit casual, but still in the British street style family. 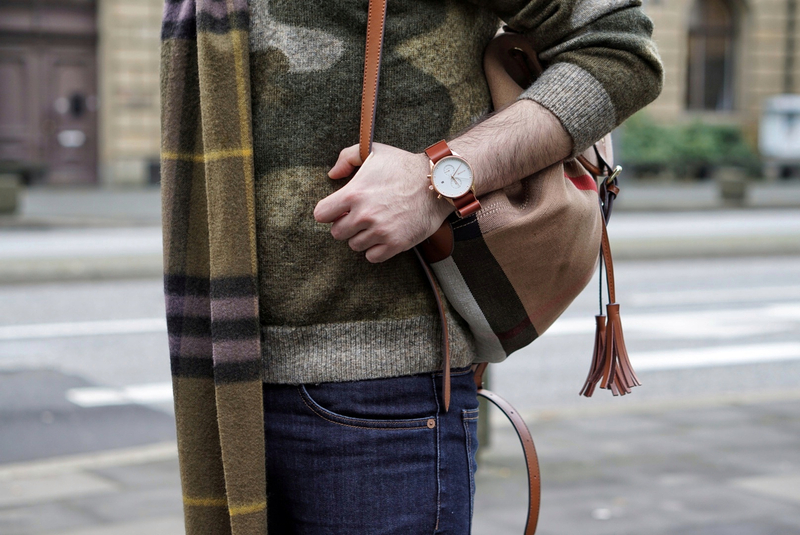 The Burberry accessories complete and elevate the look. The gorgeous watch by MVMT is another beautiful statement piece which can never go out of style. With all that being said my darling people, I hope you will have a splendid new week. Make the best of it!